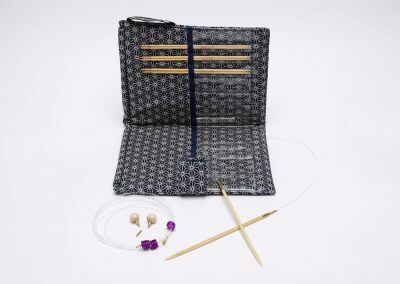 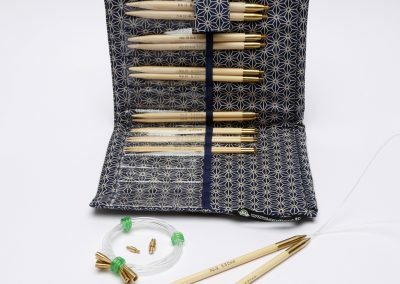 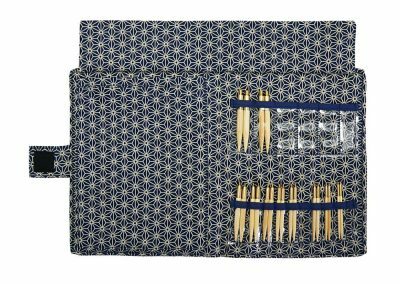 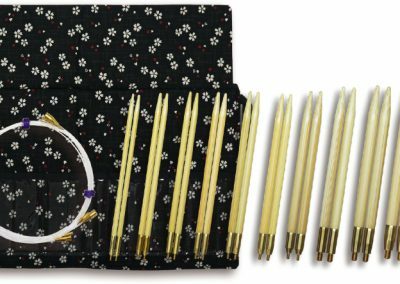 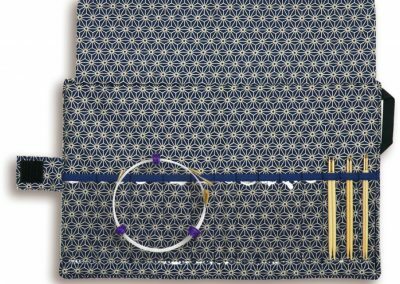 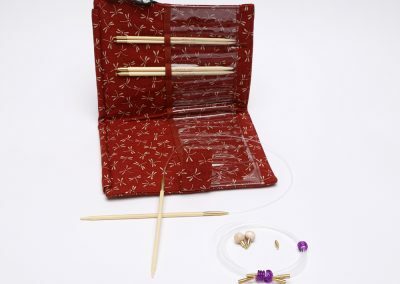 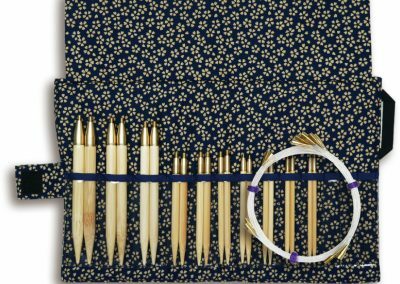 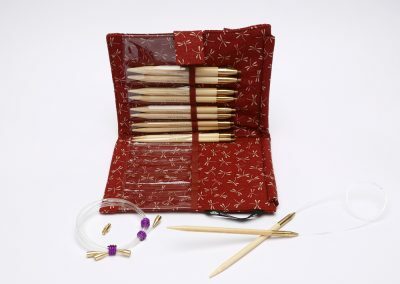 Our Classic Bamboo Interchangeable Circular Needles set is available with a wide selection of needle lengths, sizes, and cable lengths, making many combinations possible.We created many different sets in order to meet the demands of knitters. 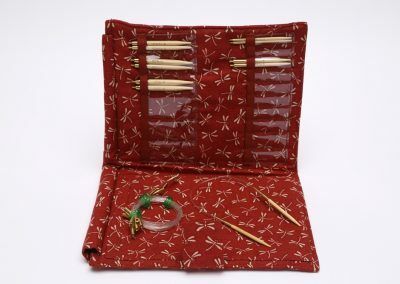 All parts as well as cases can be sold individually, and the set can be customized to meet your needs. 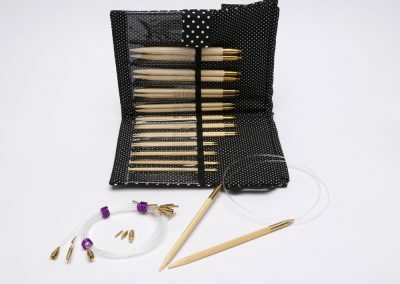 The following Interchangeable Circular Needles sets can create 40cm (16″) tubes. 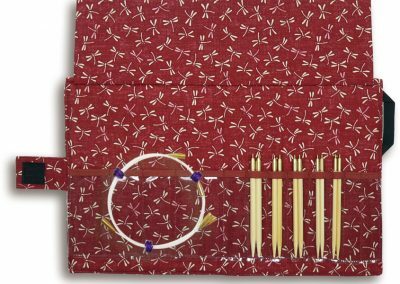 STD set, ML set, Small Set, Short set, Short L set. 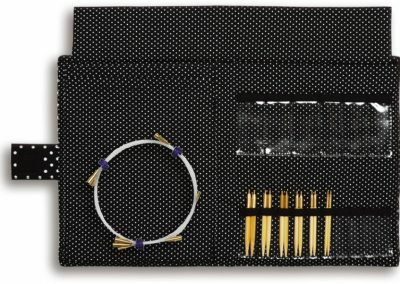 All of our circular needles feature a flexible rotating joint that prevents twisting, allowing for easy knitting.